Kate Carnell, who governed the ACT from 1998 with the support of independent Michael Moore; Peter Beattie, who relied on independent Peter Wellington for support in Queensland in 1998; and Jeff Kennett, brought down in 1999 by a Labor–independent charter in Victoria. AAP/Tim Cole. It’s almost seventy years since an Australian federal government held power without a majority in the House of Representatives. But minority governments have been much more common in the states and territories, particularly over the past two decades. Since 1990, minority governments have held office for at least a short period in all six states and in both territories. Tasmania, Western Australia, the Australian Capital Territory and the Northern Territory are currently governed by parties that don’t have an absolute majority of MPs. Over the past week in Inside Story we’ve published articles about three well-known minority governments – Victoria’s (1999–2002), South Australia’s (2002–06) and Tasmania’s (since March this year). Each of the three was – or, in Tasmania’s case, has so far been – more successful than expected, and in at least one case significant long-term parliamentary reform has resulted. Some other minority governments have been just as successful; a few have ended in failure and acrimony. Drawing heavily on two sources – Brian Costar and Jennifer Curtin’s book, Rebels with a Cause: Independents in Australian Politics, and Gareth Griffith’s report for the NSW Parliamentary Library Research Service, Minority Governments in Australia 1989–2009: Accords, Charters and Agreements – here’s an overview of those governments. This two-decade period opens and closes with minority governments in the same state, Tasmania – the first headed by Michael Field and the latest by David Bartlett. In hindsight, the accord contained the seeds of its own destruction by being too detailed and prescriptive. The Greens demanded too much and Labor was naive to believe it could deliver on those demands… Of the accord’s seventeen discrete clauses only one dealt exclusively with parliamentary reform. Ten clauses made very specific environmental demands. Section 9, for example, stated that “the state export woodchip quota will not exceed 2.8889 million tonnes per annum.” Other sections dealt with independents’ access to ministers and public servants which, while reasonable in themselves, were presented in an uncompromising tone. Some demands, such as the one that called for the “abolition of subsidised liquor to ministers,” were relatively trivial. De facto independent leader Bob Brown was correct to state in the foreword to the accord that the Greens had gained “access to and influence on the whole range of government decisions” but, by being so concerned with detail, the document betrayed a lack of necessary trust between the parties. The parliamentary reforms spelt out in the accord were less detailed than the other clauses but equally ambitious. Foreshadowing themes that run through many of the agreements struck by independents and small parties in similar circumstances, they included “a total review of parliamentary procedures and standing orders,” “the creation of new parliamentary committees including estimates committees,” a provision guaranteeing Green Independent members “pre-cabinet consultation on legislation” and another promising consultation on appointments to selection panels for heads of public service departments. Little of this program was locked in during the life of the accord. The agreement’s successes included significant improvements in coastal management and marine parks, but the growing hostility between the independents and Labor limited the scope and longevity of reforms. According to the political scientist Steven Reynolds, the accord broke down “over issues of forestry management, bringing to a head clashes that began with education policy issues not long after the accord was signed. It was formally dissolved in September 1991 when the ALP increased export woodchip quotas in specific violation of the accord.” The Greens continued to support Field’s government over his opposition counterpart until the February 1992 election, which Labor lost. This second period of minority government was not based on either an accord or even a “confidence and supply agreement.” Instead, it was founded on the twin rocks of the personality differences between the Labor and Greens leaders (Michael Field and Christine Milne), on one side, and on an “open door” policy adopted by Premier Rundle towards the Greens, on the other. This policy permitted the minor party to pursue its agenda on such issues as an apology for Indigenous Tasmanians and homosexual law reform. Despite the reduced parliament, the Greens once again managed to capture the balance of power earlier this year. Although the Labor premier, David Bartlett, had ruled out minority government during the campaign, the post-election negotiations eventually led to a novel outcome: no formal agreement between Labor and the Greens as a party; two Green MPs to sit in the Labor cabinet; and the government reliant on the support of the Greens inside cabinet and at least one Green outside cabinet to pass its legislation. Kate Crowley discussed the agreement, and its success to date, last Monday in Inside Story. Like Tasmania’s accord, the NSW agreement was a very detailed and specific document. 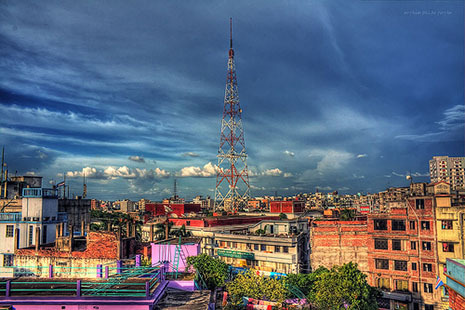 But almost all of its nineteen pages sought to enhance accountability of the government to parliament and people; it was policy-prescriptive only in the legal and constitutional areas of freedom of information, the powers of the ombudsman and the auditor-general, defamation laws and whistleblower protection. Significantly the memo had nothing to say about regional and rural New South Wales, reflecting the fact that Moore and Macdonald held Sydney seats and Hatton, while he represented a regional constituency, had made his parliamentary reputation as an anti-corruption campaigner. In a speech in June 2003, independent MP Clover Moore acknowledged the reforms of parliamentary procedures during this period, but added, “Since the return of majority government following the 1995 election, some of the parliamentary reforms we achieved have been watered down or effectively set aside” – a point also made by NSW parliamentary researchers David Clune and Gareth Griffith in their book, Decision and Deliberation: The Parliament of NSW, 1856–2003. In October 1991 the former education minister, Terry Metherell, who had not been included in the new Greiner cabinet, resigned from the Liberal Party to sit as an independent. He later accepted an unadvertised position with the Environment Protection Authority, precipitating a by-election in his seat of Davidson that was won easily by the Liberal candidate. Greiner was accused of subverting normal public-service recruitment procedures to induce Metherell’s resignation and improve the government’s position in parliament. The independents insisted on referring the matter to ICAC, the Independent Commission Against Corruption, and threatened to support a no-confidence motion if the premier did not stand aside. For its part, ICAC ruled Greiner’s behaviour to be “corrupt” (a finding that was later overturned by the NSW Supreme Court) and he was forced to resign; his successor, John Fahey, presided over a minority government supported by the independents until the Coalition narrowly lost the 1995 election. The circumstances of the 1995 election revealed the level of hostility towards the independents in both major parties. Greiner (now out of parliament) wrote personally to all voters in the electorates of Manly, Bligh and South Coast urging them not to support the independents, describing the trio as the power “alcoholics” of NSW politics. “Dirty tricks” campaigns were alleged to have taken place in Bligh and Manly, and Clover Moore described the campaign as the “nastiest” she had experienced. With the election result in the balance (Labor eventually won by one seat), the major parties seriously considered contriving another election rather than dealing with the independents. The amount of vitriol heaped on the independents by the major parties and sections of the media suggests that they might well have achieved their accountability objectives. Certainly the success of the referendums on four-year parliaments and judicial independence put at the 1995 election suggests this was the case. The referendums were part of the independents’ agenda and, despite a distinct lack of enthusiasm from the major parties, they secured Yes votes of 66 per cent and 76 per cent respectively. After thirty-three years in opposition, Labor returned to power in Queensland in 1989. Three years later, with the corruption of the Bjelke-Petersen years still fresh in people’s minds, Premier Wayne Goss and his colleagues won a second election. The expectation was that Labor would win for a third time at the July 1995 election. Partly as a result of its controversial plan to build a freeway through an environmentally sensitive corridor in Brisbane, though, Labor lost nine seats, giving it a majority of just one over the combined numbers of the Coalition and the newly elected independent, Liz Cunningham. Labor had won the seat of Mundingburra by just fourteen votes; after the inevitable challenge and several months in the Court of Disputed Returns, the Liberal candidate Frank Tanti won the seat at a by-election in February 1996. “For the first time in the state’s history,” writes the political scientist John Wanna, “a single independent held the balance of power between two equally matched opponents. Parliament as an institution began to matter, for the first time in living memory.” That one member of parliament was Liz Cunningham, who – at a media conference convened under a large tree in Gladstone – declared her support for the Coalition and its leader, Rob Borbidge, on confidence motions and supply but reserved the right to vote on all other legislation as she saw fit. She sought no specific policy commitments from the Coalition but did receive additional staff. Despite numerous gaffes and controversies the parliament ran full term, but the 1998 Queensland state election was to prove one of the most dramatic in modern Australian politics. In the best debut electoral performance by any new party since Labor began entering the colonial parliaments in the 1890s, the newly formed Pauline Hanson’s One Nation won eleven seats – five from the National Party and six from Labor. By winning six seats from the Liberals, the Labor Party, now led by Peter Beattie, emerged with 44 seats to the Coalition’s 42. Two independents were elected: Cunningham, again, and first-timer Peter Wellington, who won Nicklin from the Nationals and with whom Beattie began negotiations to form a minority government. These discussions culminated in a six-page letter of understanding from Beattie to Wellington dated 25 June 1998. As Antony Green observed, “The only alternative would have been a ramshackle coalition of Liberal, National, One Nation and several independents. Wellington chose to back stability…” Reform of parliament, an ongoing budget surplus and detailed guidelines for ministerial travel and expenses were among the requests he made in return for his support. Beattie refused another proposal – the introduction of citizen-initiated referendums – but promised to hold community cabinet meetings outside Brisbane. Although he didn’t get everything he wanted, Wellington agreed to support Labor, and the new government stuck to its side of the bargain. He was back after the next election (and is still in parliament) but in the meantime the circumstances had changed. Beattie gained a parliamentary majority of one seat after a by-election in November 1998 and Wellington no longer held the balance of power. Earlier in 1998 voters in the Australian Capital Territory had gone to the polls faced with a choice between the incumbent chief minister, Kate Carnell, and the Labor opposition leader, Wayne Berry. Minority government had been a fact of life in the territory since it had gained self-government; legislation put forward by a cabinet of four government MPs was negotiated case-by-case through the Assembly. But this election yielded an even more interesting situation. Both major parties emerged from the 1998 election with six seats, with the balance held by the ACT Greens (one), the Osborne Independent Group (two), and the Moore Independents (one). To break the deadlock, Carnell offered the sole Moore Independent, Michael Moore, the job of health, housing and community services minister in a Liberal government. Moore negotiated an “unprecedented” arrangement with Carnell, “binding him to the conventions of collective cabinet solidarity only in relation to his own portfolio areas and the annual budget bills,” write Costar and Curtin. One of Moore’s priorities was drug law reform, and in late 1999 his legislation to establish supervised drug-injecting rooms was passed by the Assembly. Although Carnell resigned in October 2000, Moore remained health minister until he retired from parliament in 2002. “I have achieved more in the three and a half years that I spent as a minister than the years I spent on the cross benches…” he said in 2001. “I make no bones about it, it was a trade-off and in accepting a ministry I did lose some of my independence, but not all of it by any means.” The Liberals continued as a minority government until the 2004 election, when Labor surprised observers by taking power in its own right. Parliamentary reform has ranked high on the Greens’ agenda and forms the first part of its two-part agreement with Labor. A key plank is the adoption of the Latimer House Principles on probity and accountability, so named after a Commonwealth conference at Latimer House, London, in 2004. At the root of the principles is a commitment to ensuring that the executive is held fully and firmly accountable to parliament, and that decision-making is transparent and takes proper regard of civil society. The Labor Party does not pretend the relationship is an easy one. “They are not a party like us; they are four individuals,” says a senior party figure. “They are really a series of interest groups. And their staff come from those groups, so we have to keep very close tabs on what is happening, because the ground shifts.” Another common complaint from Labor is that the Greens are “manipulated” by the Liberals into thinking that government is a monolith and that ministers have only to snap their fingers to get action. Meredith Hunter [the ACT Greens’ leader] denies this, arguing that the Greens’ long-term deep community roots ensure an appreciation of government decision-making and that the Greens are under no illusions as to the complexities of government. The second part of the agreement focuses on policy and – under the headings of climate change and energy, transport, waste, water, planning, housing, small business, justice, education and health – progress against stated objectives is regularly discussed not just between leaders but among all four Greens and the ministers they shadow. The state of play is then reported on the Greens’ website. Another nine months later the relationship still seems in good shape. The result, as Brian Costar and David Hayward described recently in Inside Story, was a minority Bracks Labor government with the support of the three independents. 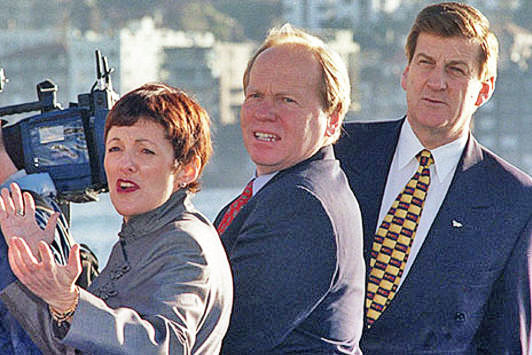 At the suggestion of a former premier of Victoria, Joan Kirner, one of the independents, Susan Davies, contacted Premier Peter Beattie and independent MP Peter Wellington in Queensland to obtain a copy of their 1998 agreement, on which the three then based their Independents’ Charter. “This issue of the balance of power caused me some significant anxieties and significant grief,” said the third of the independents, Russell Savage, at a conference the following year. “Susan very quickly came up with an idea that was quite brilliant and that was to have a Charter and that would get the media off our backs… It is very easy to succumb to the obvious – well let’s get some significant development in our electorate… We believed that… was immoral because it was exactly how the Kennett-style government worked.” The independents had negotiated with both leaders, but found Kennett intransigent on key points. Government accountability (including a restoration of the independence of the auditor-general), parliamentary reform and the rejuvenation of rural Victoria were the key elements of the agreement with Bracks. Costar and Hayward’s article recounts the three-year relationship between government and independents, and Labor’s growing popularity in the lead-up to the 2002 state election. I rate that as one of the best periods of government that I had of the period right through the eight years, and the three terms. We had to be on our toes, there was a lot of accountability, but also we had to explain properly what legislation meant, and what it meant to the broader public. Not just simply driving through your agenda because it happened to be a matter on which you were elected on, but to keep explaining, keep consulting, keep working it through. I enjoyed the periods on each parliamentary session where I sat down with the three independents and worked through the legislative agenda, where we’re going, providing support and assistance in understanding better the legislation so they could make decisions. So, in some ways, it was a moderation on your own party and I found that quite useful. Minorities were a feature of South Australian politics throughout this period. Between 1989 and 1993 Labor formed a minority government with two “Independent Labor” members, losing to the Liberals in 1993. Four years later, an election swing forced the Liberals to rely on the support of a National MP and two independents to retain government over the period 1997–2002. Between polling day and the first meeting of the new parliament, Peter Lewis negotiated a Compact for Good Government with the Labor Party. The compact drew heavily on agreements in other states and included mechanisms to improve ministerial accountability, reform parliament and assist rural South Australia. What was different in Lewis’s compact was his insistence that the government “pass an Act of Parliament and make other such arrangements as deemed necessary by the Speaker [Lewis] to meet such costs and facilitating such processes as may be involved in any aspects of the work related to the establishment of a Constitutional Convention…” The Convention was held in August 2003 and made a number of recommendations to be considered by the state parliament. But the most remarkable of Rann’s initiatives was to appoint another independent, Rory McEwen, as his trade minister. Like Michael Moore in the ACT, McEwen remained an independent and was free to criticise the government of which he was a member. Norman Abjorensen described the events surrounding McEwen’s appointment, and the appointment of another non-Labor MP to Rann’s ministry, in a recent article for Inside Story. In early August 2008 the Labor WA premier, Alan Carpenter, called an early election for 6 September 2008. Unexpectedly, the election resulted in a hung parliament – twenty-eight Labor MPs, twenty-four Liberals, four Nationals and three independents. Since he’d taken over the leadership of the National Party in 2005, leader Brendon Grylls had pursued greater independence from the Liberal Party, and during the campaign he ruled out any Coalition agreement. Suddenly, with a hung parliament, Grylls and at least one independent were in a position to dictate terms. The terms for winning National Party support were relatively simple: Labor or the Liberals needed to accept Grylls’s “royalties for the regions” plan, which had featured in the party’s election campaigning. Twenty-five per cent of the state’s mining and onshore petroleum royalties would be returned to regional Western Australia for use in infrastructure and community services via various programs. After a week of negotiations with both parties, Grylls struck his deal – essentially an informal coalition agreement – with the Liberal leader, Colin Barnett. Like Rory McEwen and Karlene Maywald in South Australia, National Party ministers in Barnett’s government are free of the usual cabinet constraints in relation to certain issues. Naturally enough, in the WA case these relate mainly to regional issues, although matters of “conscience” are also covered by the agreement. The terms of this agreement are wide ranging, including substantial parliamentary and constitutional reforms, as well as other policy measures. Perhaps the most interesting constitutional aspect is the agreement to establish a cross-party Council of Territory Cooperation, comprising two government members, two opposition members and at least one independent. Among its objects would be to enhance inclusion and transparency in decision making. The Council would be empowered to conduct inquiries, either referred to it from the Assembly or self-referred, and to make recommendations on matters of public importance. The government also agreed to reform parliamentary procedures, including reform of question time to allow more non-government questions.